Anyway, that's the reasoning behind this feature! Now onto the change! I've kicked off with something super simple: Drink one cup of green tea a day. As you may know, I'm on a quest for clear skin, and I've heard time and time again that green tea equals a clear complexion. So why not give it a go for myself? Before this month, I wouldn't drink any sort of tea. Quite surprising, since I live in a country that is full to the brim with tea drinkers! But, now that I'm drinking green tea regularly, I can't believe it's taken me this long! 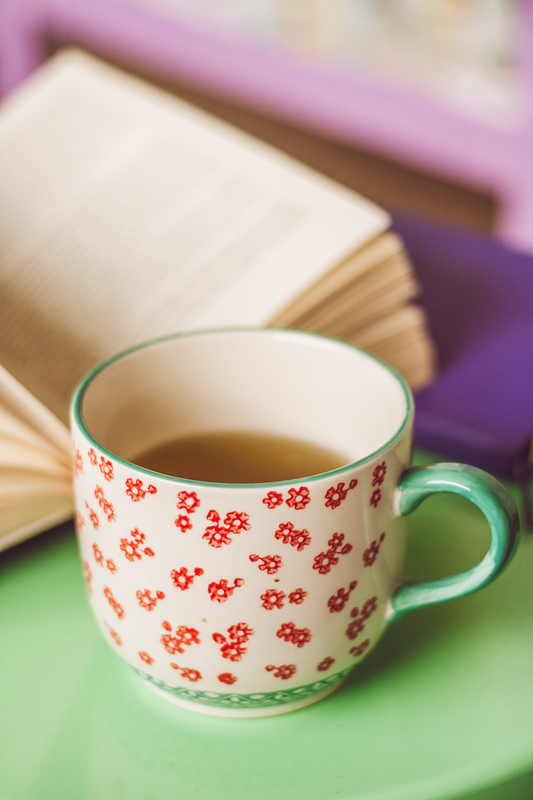 I love the whole process of making a cuppa in the morning, settling down with a book or scrolling my Instagram feed, and sipping on a hot beverage - it's just such relaxing way to wake myself up! As for the taste? A lot of people say they don't like it, but once you have it a few times you acquire a taste for it. Plus, you can buy flavoured tea or add a squeeze of lemon, so there's no excuse not to try it out. Well then, that's my happy change for the month! The jury's out when it comes to my skin. I'm trying so many different things to get a crystal clear complexion that it's hard to track what's making a difference. But since there's so many benefits associated with green tea, I can't see any reason to stop my new habit. Be sure to tell me how your New Year's resolutions or general goals are coming along! Or let me know if you're a fellow green tea drinker! What a great idea! I should try doing something like this this year... Would be awesome for 2016 to roll by and I have picked up some good habits ;) i don't think I've ever had green tea before... I didn't know it helped clean skin, I'm going to try and drink a cup more often! 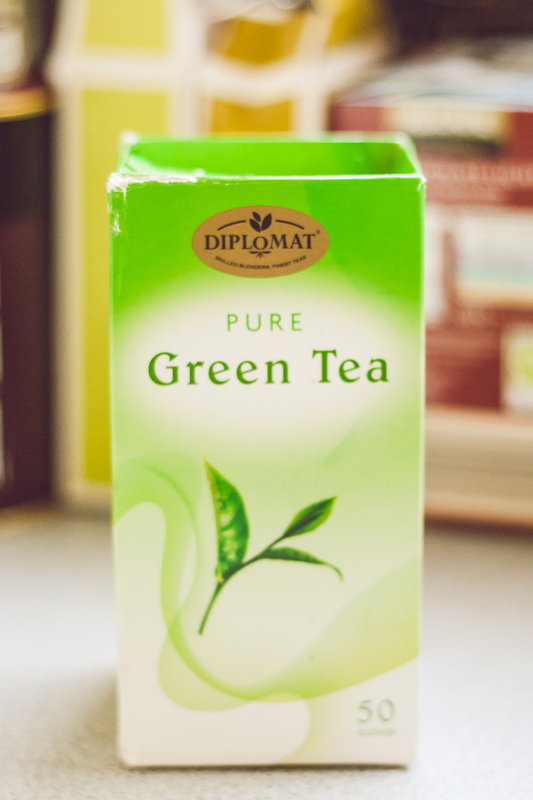 I've tried green tea but didn't like the taste although I do like the flavoured ones. I think I will start drinking green tea more now I know the benefits. Thanks and good luck on this new 'habit'. I absolutely love the idea of making one manageable but positive change a month. It's so simple but so amazing! I've been cutting down on the amount of coffee I drink over the past while so I have been drinking more tea, although not necessarily green. I'm trying to cut down on caffeine in general as I find it often upsets my stomach. I've also been making more of an effort to drink more plain ole water and I found that it's had a great impact on my skin. Good luck with your clear skin quest and I am already excited for February's post! Aw, thanks Kathryn, you're such a sweetheart! Yes! 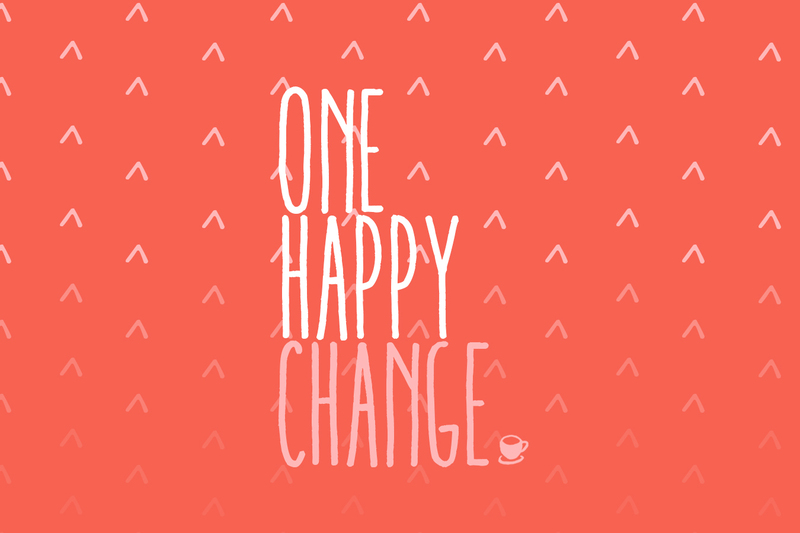 I love the idea of One Happy Change. I might have to conquer something similar! Drinking one cup of green tea has incredible health benefits. 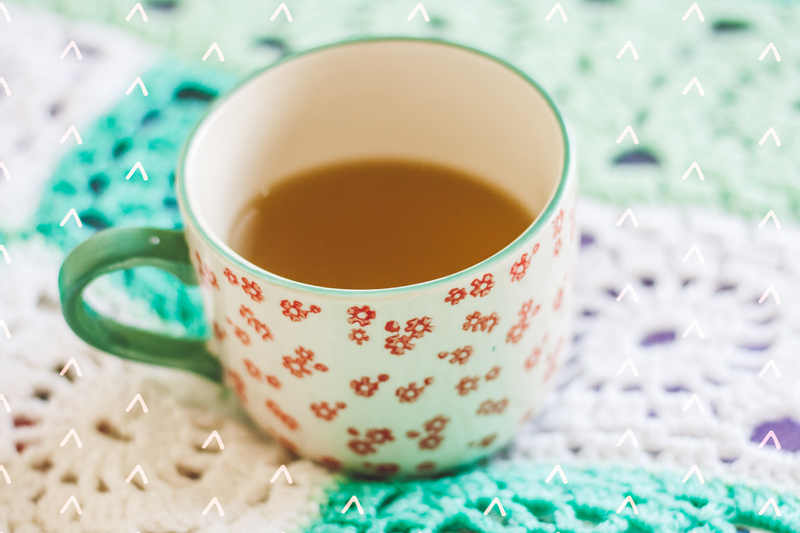 I try to make it a part of my day as well, whether that means starting my morning with a hot mug of green tea or sipping a decaf version before bed. I can definitely tell a difference in my complexion when I drink it regularly! Green tea has so many health benefits! I've noticed that it has helped clear my skin up a lot, and for it is is very hydrating. Green tea is also great for puffy eyes and dark circles too! I should totally try that, too, thanks for the inspiration! I love green tea, I have a ridiculous number of cups each day! I absolutely adore green tea - so good for you and I love the flavor! Hey that is true that if we drink one cup of Green drink or a cup of green tea in a day then it will help us maintaining body weight. I feel so healthy and refreshed after having it on regular basis. Good luck with your monthly changes! I should really start drinking green tea, although I think I would have to get the flavoured ones! I'm not a tea person, but lately I've been wanting to drink more tee, and you gave me the push I needed to start. Thank you! I have to try this sooner or later; great post girl! Really beautiful photos - I love that mug too! And green tea is so good for you :) Good luck with your new good habits! Love your plan!! Love the photos, too. :) Tea = happiness.